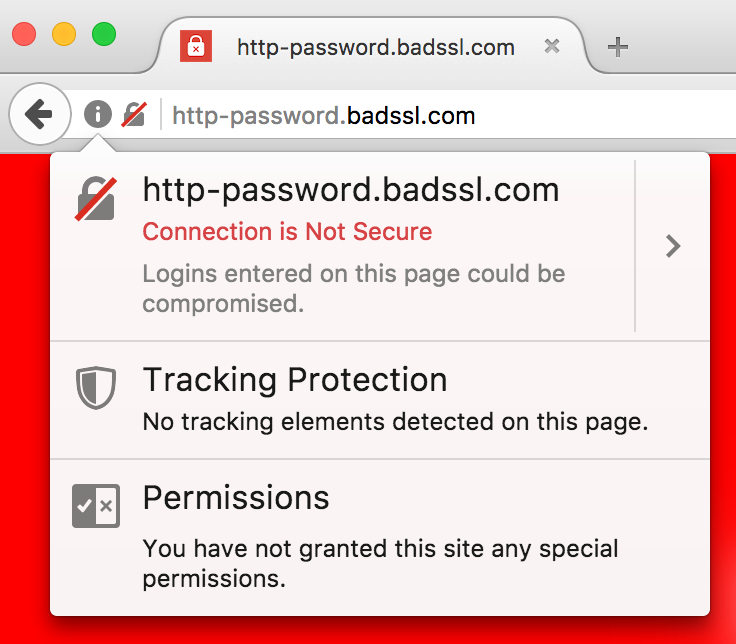 Following in the footsteps of Chrome it seems FireFox is testing a UI change to highlight further the dangers of password fields on non-HTTPS pages. Currently Firefox already displays a red crossed out padlock when visiting a standard HTTP page with a password field. Clicking the padlock provides a more verbose warning. Ryan Feely UX designer at Mozilla recently tweeted an update showing an even more prominent warning message at the point of submitting the insecure form data. I have tested this on the current Firefox nightly build but at present this does not display. It is possible Firefox could release this before the Chrome Not Secure warning coming in Chrome 56. Watching this closely for further updates.